This program is based on early morning meditation and recitation of prayers. Spirituality is the search for the profound within us. It is the pure benediction which infuses positivity and immense calm, making our soul dance in eternal harmony. Listening, Watching, Feeling your soul being amalgamating with that of God is the utmost bliss. Spiritual enlightenment trails you upon a journey of discovering your true self. 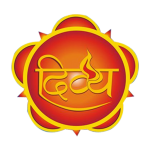 Channel Divya, India?s first spiritual music channel offers true spiritual content to its viewers in the form of soul awakening music. Every note of its music is endowed with sanctifying blessing which makes the viewers realize their true worth of being alive, being human. Divya TV is Available in United States, Australia, United Kingdom, Canada, Singapore, Malaysia, Europe, New Zealand, Japan, Trinidad and Tobago, Middle East, Qatar, Saudi Arabia and UAE.